Fan assisted hot cupboard provides even heat distribution, fast heat up and recovery times, and lower energy usage. Four shelf positions allow adjustment to meet individual needs. Fully 1/1 GN compatible hot cupboard for operational efficiency. Units available to take 4 x 1/1 GN containers up to 150mm deep. 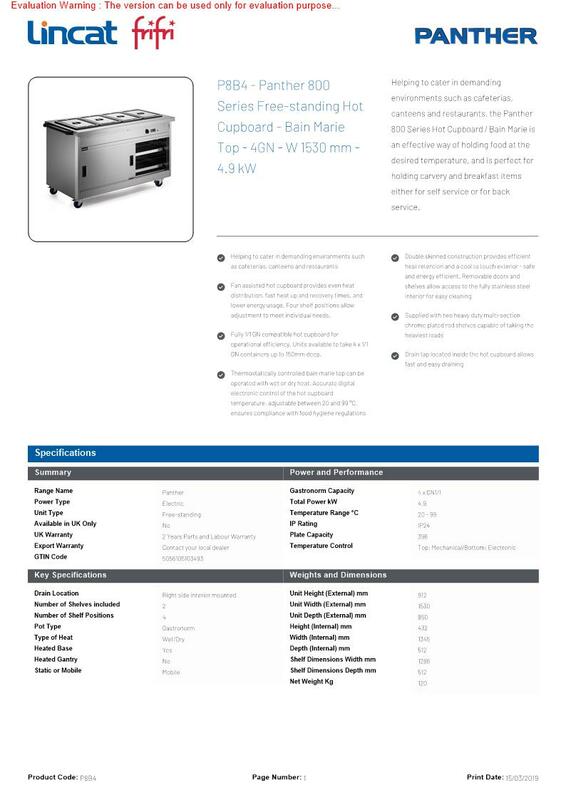 Helping to cater in demanding environments such as cafeterias, canteens and restaurants, the Panther 800 Series Hot Cupboard / Bain Marie is an effective way of holding food at the desired temperature, and is perfect for holding carvery and breakfast items either for self service or for back service.